Kelsey put together a fun superhero party. Besides all of the fun snack ideas (super vision sticks!) 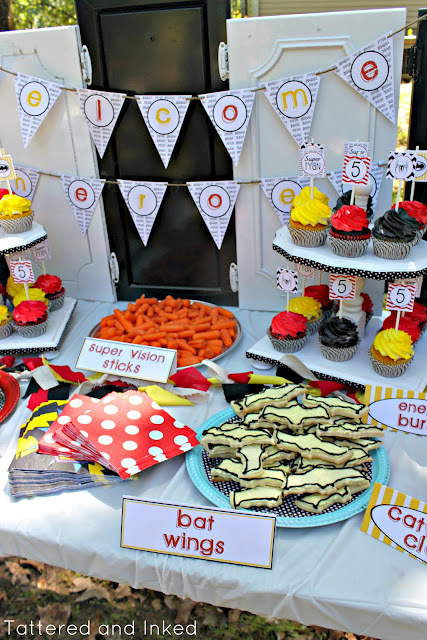 and cute decorations, she also has a free printable superhero birthday banner that you can use for your own superhero party. You can check out her fun pictures and download your superhero banner over at Tattered and Inked.